Could be considered the “pre-history” of the Seismological Laboratory, which originally belonged to the Carnegie Institute, not Caltech. 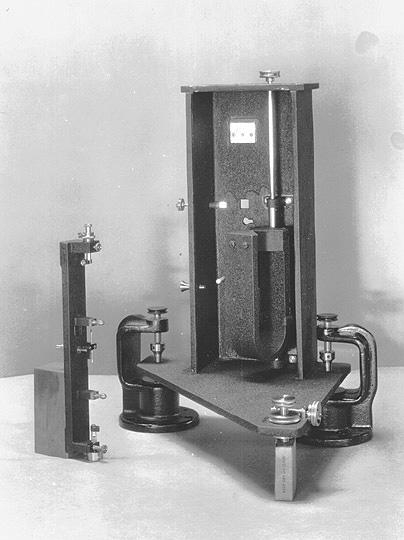 Instruments for the recording of local earthquakes (such as the Wood-Anderson torsion seismometer and the Benioff short-period instruments) were designed, fabricated, and installed at a few sites ( Pasadena and Riverside, for example). 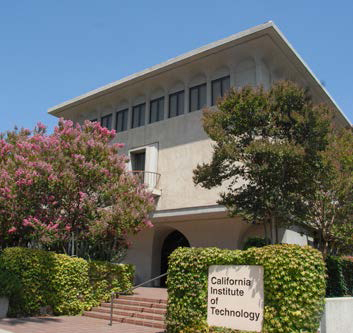 In 1926, the Seismological Laboratory became affiliated with the new geology department at California Institute of Technology. By 1931, seismographic stations existed at six locations (PAS, RVR, SBC, TIN, HAI & LJC), which allowed the location of most earthquakes over 3.0 in most areas of Southern California. Could be called the era of the Caltech Seismic Network. The number of instrumented stations increased slowly, with distinct growth spurts after the 1933 Long Beach earthquake (Mw6.4), 1952 Kern County earthquake (Mw7.5), and the 1971 San Fernando earthquake (Mw6.7). Most recording still occurred photographically, at the station. 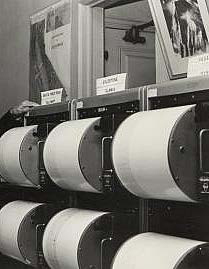 Data from some stations were telemetered to Caltech beginning in about 1966. 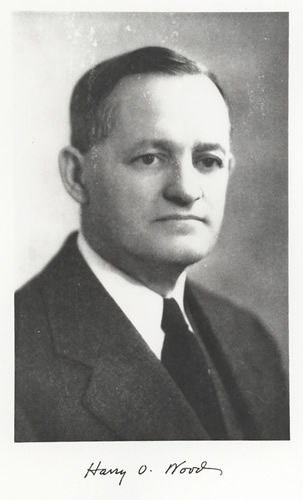 The period when the cooperative network with the U.S. Geological Survey was formed. This marked the beginning of what is now the SCSN. It could also be called the era of analog (via telephone land line) telemetry. Is still the era of analog telemetry, but data were digitized upon their arrival at Caltech and processed by real-time computer systems (using the CEDAR and CUSP software). Was the beginning of the era of broadband seismometers and digital telemetry. Although most signals were still transmitted in their analog form (now by mostly radio and/or microwave) and digitized onto the computers, some stations were replaced or supplemented by modern equipment under the TriNet program. Data processing was still using the CUSP system. After 1992 there were no more photographically recorded signals. Is the modern digital, broad-band network. The 96 analog stations that we still have are digitized by “earthworm hubs” either in the field or at Caltech, before processing by our real-time systems, and finally analyzed by Seismic Analysts.